Ald. 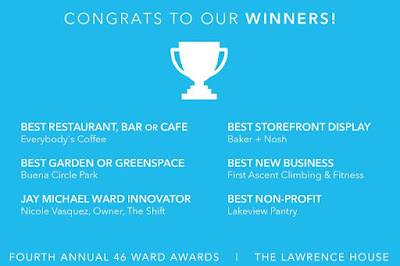 Cappleman says: "Thank you to everyone who attended the Fourth Annual 46 Ward Awards! The night was a great success. Congratulations to our winners!" 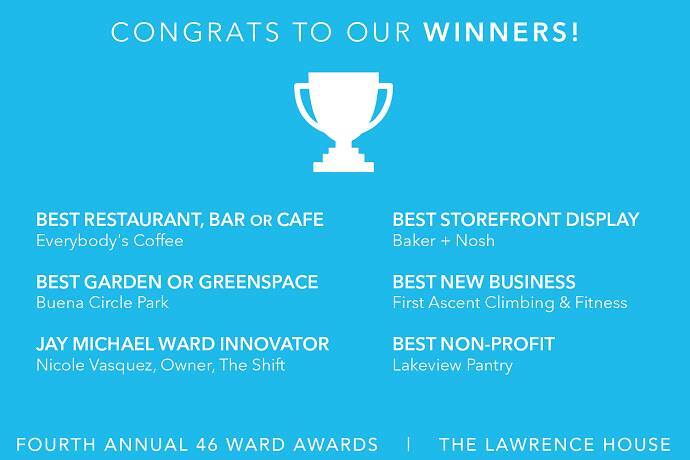 Laughed for 10 minutes after seeing Buena Park Circle won for best garden. There isn't one plant in the whole place.